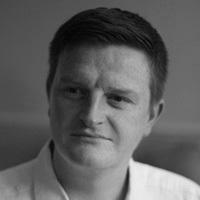 Gavin Dixon is a writer, journalist and editor based in Hertfordshire, UK. He has a PhD on the symphonies of Alfred Schnittke and is a member of the editorial team for the Alfred Schnittke Collected Works Edition, currently being published in St Petersburg. Gavin is also a Curator of Musical Instruments at the Horniman Museum in London and Music Editor of Fanfare Magazine.